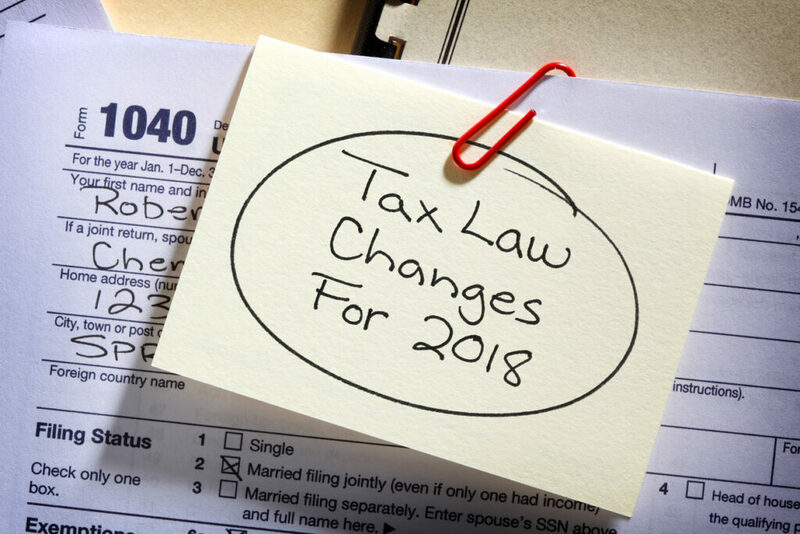 Federal tax law has long provided that support payments to an ex-spouse, known as alimony, are generally taxable to the recipient and deductible to the payor. For over 75 years, divorcing couples (and divorce attorneys) have relied on this treatment of alimony. The Tax Cuts and Jobs Act of 2017, however, eliminated the tax deduction for alimony payments, upending longstanding law. Timing is important. The new law’s treatment of alimony applies only to spousal support paid under a divorce instrument executed after December 31, 2018. If you are contemplating divorce and want to enjoy a tax deduction benefit for alimony, time is of the essence: work with your attorney to complete your marital settlement agreement before the end of this year. If you are currently paying alimony on a tax-deductible basis, your payments will continue to be tax deductible. The new law grandfathers the alimony tax deduction for all alimony paid under a pre-2019 divorce instrument. Furthermore, any future modifications to alimony paid under a pre-2019 divorce instrument remains tax deductible unless the modification expressly states that the new tax law’s treatment of alimony will apply. Pre-2019 prenuptial agreement. You may be wondering whether your existing prenuptial agreement’s alimony provision preserves the alimony tax deduction for a post-2018 divorce. Unfortunately, there’s no clear answer yet as to whether a prenuptial agreement will suffice, though it looks highly unlikely. You may want to consider adding language to you pre-nuptial agreement that accounts for this uncertainty. The old tax structure was extremely complex, with both advantages and disadvantages. An advantage came into play when there was a significant difference in the taxable incomes of the two divorcing parties. In that situation, total “family” cash flow could be increased by shifting taxable income from the higher tax bracket of the alimony payor to the lower tax bracket of the alimony recipient. However, there were several “traps for the unwary” which had to be carefully planned for in crafting alimony provisions. Failure to properly comply with these complex requirements could lead to the unintended consequence of the alimony payments not having the tax-shifting effect. The new tax law achieves a desirable simplicity when it comes to the support provisions of an agreement or court order. Those provisions can now be very straightforward and the financial impact on each party will be crystal clear. Neither alimony nor child support payments will have any tax consequences to either party – the financial situation of each party after making or receiving the support payments will be easily discernable. And there will be no need to comply with complicated rules in order to ensure the desired tax treatment. Needless to say, however, Congress is fickle. At present, the alimony tax deduction has been “permanently” repealed by the Tax Cuts and Jobs Act. But that repeal is only “permanent” until Congress chooses to act again. Moving forward, parties may want to consider adding language to their settlement or separation agreements that anticipate future changes in the tax law. If you have questions about alimony in your divorce, consult with an experienced divorce attorney.